Hi, my name is Wenlin and I am a movement and mindfulness practitioner and a Registered Yoga Teacher (RYT) with Yoga Alliance. I’ve always loved moving since I was young, beginning with dance and later on, martial arts. My first encounter with yoga came in 2006, but it wasn’t till 2012 that it became a regular practice — a way of cultivating playfulness and taking flight despite the mundanity and weight of modern life. Wanting to deepen my knowledge and practice, I completed my 200Hr Yoga Teacher training in 2016. In the years to follow, I continued to study yoga, anatomy and massage as a way to foster touch and facilitate a deeper movement practice for my students and loved ones. I look forward to sharing my love of yoga and the magic of movement with you. Able to teach a variety of styles including: hatha, vinyasa flow, yin/restorative yoga, and Thai massage. I organise group and private classes, workshops and retreats, for preschool children, adults and seniors. 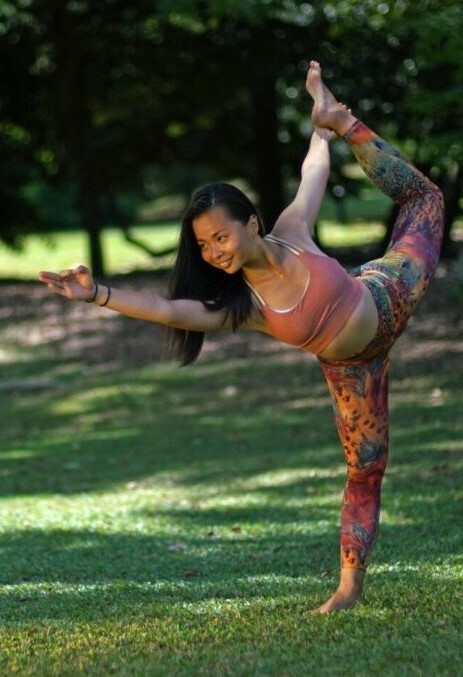 Pair yoga community class at Art of Yoga, March 2019 Sign up here!